North Carolina bankruptcy filing numbers for the first quarter of 2014 are in and the results are promising. Compared to the last quarter of 2013, overall filings are down 7%. The greatest increase was in Chapter 13 petitions, which dropped by 10%, while Chapter 7 dropped by a mere 2%. But what's really exciting is when you look at the same period from a year prior – January through March 2013. Bankruptcies are down 20% since last year. Compared to Q1 2013, Chapter 7 filings are down 27% and Chapter 13s are down by 13%. This seems like good news, but let's dig a little further to see what it means. Research by Wells Fargo's Economic Group published just last month shows that the last half of 2013 was a game changer for our state's economy. They found that job growth in North Carolina was even better than the national average in every industry group, including construction, manufacturing and government. The fastest growing job sector was professional and business services. 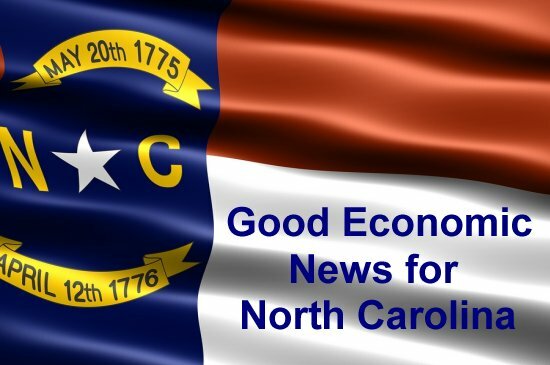 The research pointed out that improved economic and employment results have been strongest in Raleigh, Charlotte and Durham and the report predicts ongoing growth across all segments in 2014. This is great news if you've been stricken by long-term unemployment that left you struggling to pay your bills and may have you facing foreclosure of your home or repossession of your car or truck. But while overall state numbers are looking up, for many of our friends and neighbors in North Carolina, their financial situation remains bleak. The home foreclosure rate in North Carolina remains lower than the national average and was halved from 2013 to 2014. This time last year the NC rate was 2% and is now 1.1%. By comparison, the national rate is down to 1.93%. However, there are still a number of homes at risk for foreclosure in our state. Roughly 4% of homeowners across the state are more than 90 days behind on mortgage payments which means they could be foreclosed on at any time. If you are one of those that is still struggling with unemployment or another issue that has pushed you behind on your mortgage payments, bankruptcy may be the best solution to keep you in your home. If you simply cannot afford your mortgage payments and have no equity in your home, Chapter 7 bankruptcy will forestall a foreclosure. This can allow you time to save up money and find a new place to live while also wiping out your unsecured debts so you can regain your financial footing. By comparison, if you're earning enough to pay your bills but need some time to catch up on back balances on your mortgage or car loan, a Chapter 13 is preferable. Contact the law offices of John T Orcutt for a free consultation to discuss your financial issues and get advice on how to get out of debt with a clean slate.